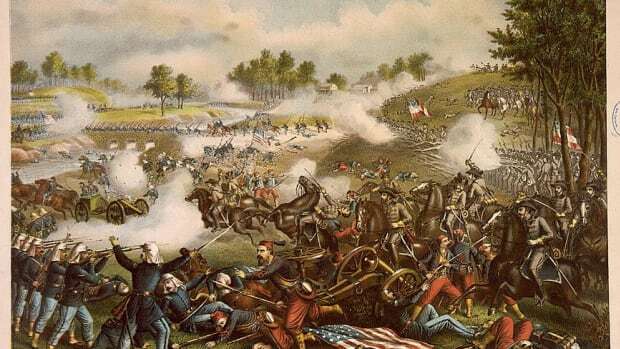 On July 21, 1861, Union and Confederate armies clashed near Manassas Junction, Virginia, in the first major land battle of the American Civil War. 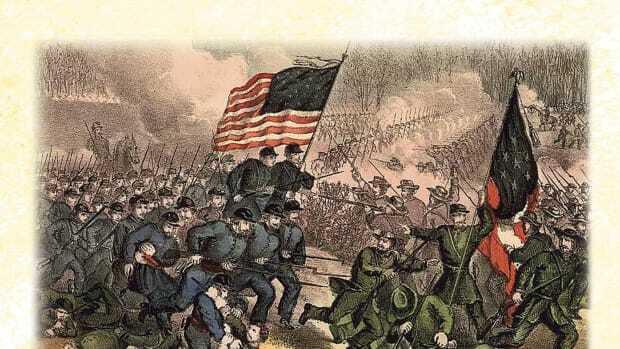 Known as the First Battle of Bull Run (or Manassas), the engagement began when about 35,000 Union troops marched from the federal capital in Washington, D.C. to strike a Confederate force of 20,000 along a small river known as Bull Run. After fighting on the defensive for most of the day, the rebels rallied and were able to break the Union right flank, sending the Federals into a chaotic retreat towards Washington. The Confederate victory gave the South a surge of confidence and shocked many in the North, who realized the war would not be won as easily as they had hoped. By July 1861, two months after Confederate troops opened fire on Fort Sumter to begin the Civil War, the northern press and public were eager for the Union Army to make an advance on Richmond ahead of the planned meeting of the Confederate Congress there on July 20. Encouraged by early victories by Union troops in western Virginia, and by the war fever spreading through the North, President Abraham Lincoln ordered Brigadier General Irvin McDowell to mount an offensive that would hit quickly and decisively at the enemy and open the way to Richmond, thus bringing the war to a mercifully quick end. 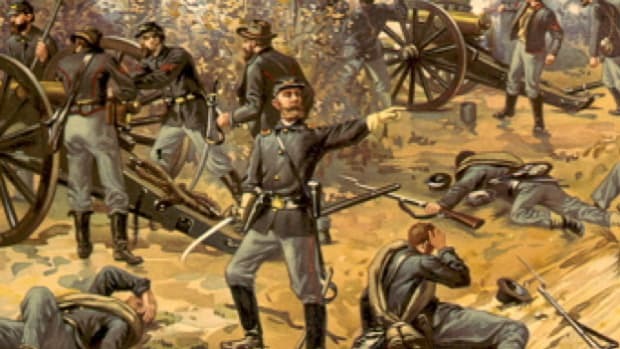 The offensive would begin with an attack on more than 20,000 Confederate troops under the command of General P.G.T. Beauregard camped near Manassas Junction, Virginia (25 miles from Washington, D.C.) along a little river known as Bull Run. Did you know? After First Manassas, Stonewall Jackson further distinguished himself in the Shenandoah Valley, Second Manassas and Fredericksburg. The man Lee called his "right arm" was accidentally shot by his own men at Chancellorsville and died of complications relating to the injury. The cautious McDowell, then in command of the 35,000 Union volunteer troops gathered in the Federal capital, knew that his men were ill prepared and pushed for a postponement of the advance to give him time for additional training. 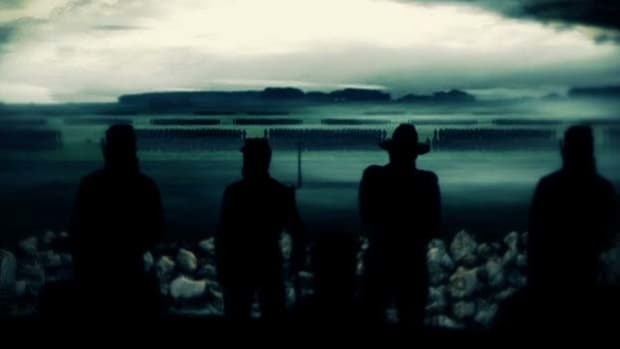 But Lincoln ordered him to begin the offensive nonetheless, reasoning (correctly) that the rebel army was made up of similarly amateur soldiers. McDowell’s army began moving out of Washington on July 16; its slow movement allowed Beauregard (who also received advance notice of his enemy’s movements through a Confederate espionage network in Washington) to call on his fellow Confederate General Joseph E. Johnston for reinforcements. Johnston, in command of some 11,000 rebels in the Shenandoah Valley, was able to outmaneuver a Union force in the region and march his men towards Manassas. 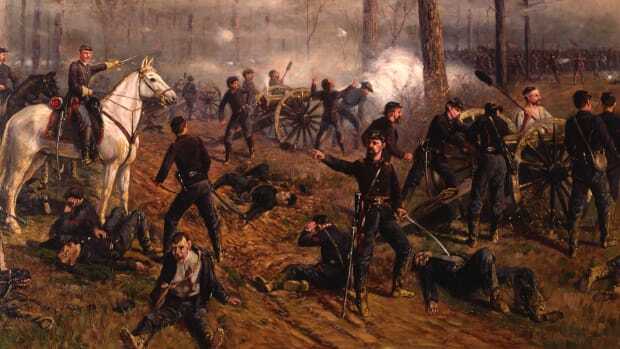 McDowell’s Union force struck on July 21, shelling the enemy across Bull Run while more troops crossed the river at Sudley Ford in an attempt to hit the Confederate left flank. Over two hours, 10,000 Federals gradually pushed back 4,500 rebels across the Warrington turnpike and up Henry House Hill. Reporters, congressmen and other onlookers who had traveled from Washington and were watching the battle from the nearby countryside prematurely celebrated a Union victory, but reinforcements from both Johnston and Beauregard’s armies soon arrived on the battlefield to rally the Confederate troops. In the afternoon, both sides traded attacks and counterattacks near Henry House Hill. On Johnston and Beauregard’s orders, more and more Confederate reinforcements arrived, even as the Federals struggled with coordinating assaults made by different regiments. 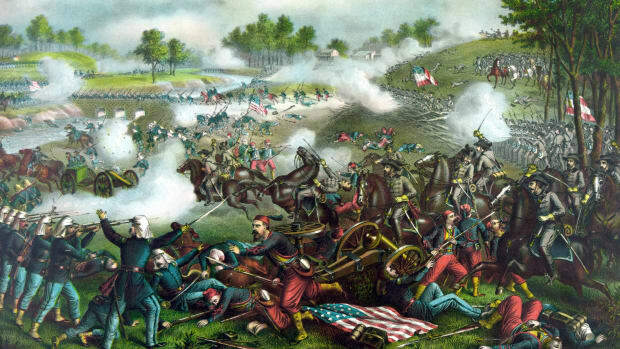 By four o’clock in the afternoon, both sides had an equal number of men on the field of battle (about 18,000 on each side were engaged at Bull Run), and Beauregard ordered a counterattack along the entire line. Screaming as they advanced (the “rebel yell” that would become infamous among Union troops) the Confederates managed to break the Union line. As McDowell’s Federals retreated chaotically across Bull Run, they ran headlong into hundreds of Washington civilians who had been watching the battle while picnicking on the fields east of the river, now making their own hasty retreat. Despite their victory, Confederate troops were far too disorganized to press their advantage and pursue the retreating Yankees, who reached Washington by July 22. The First Battle of Bull Run (called First Manassas in the South) cost some 3,000 Union casualties, compared with 1,750 for the Confederates. Its outcome sent northerners who had expected a quick, decisive victory reeling, and gave rejoicing southerners a false hope that they themselves could pull off a swift victory. In fact, both sides would soon have to face the reality of a long, grueling conflict that would take an unimaginable toll on the country and its people. On the Confederate side, accusations flew between Johnston, Beauregard and President Jefferson Davis over who was to blame for the failure to pursue and crush the enemy after the battle. 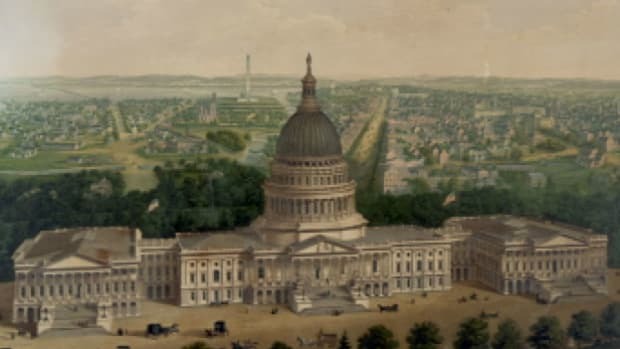 For the Union, Lincoln removed McDowell from command and replaced him with George B. McClellan, who would retrain and reorganize Union troops defending Washington into a disciplined fighting force, thereafter known as the Army of the Potomac.